The focus of my blog is to review book series and not individual novels, but writers are going to continue writing novels within a series even after I have done my review, so I plan on reviewing the individual novels as they come into circulation. Tony Dwiggins just recently added book #4, Skeleton Sea, to the Forensic Geology series. As a lover of forensic thrillers especially those with a dose of science, I have developed a high regard for Tony Dwiggins’ Forensic Geology Series mainly because the two protagonists in the series are geologist which is unique to this particular genre. A geologist’s role in a forensic investigation is to ascertain the location of either the victim or perpetrator before, during, or after a criminal act. In Skeleton Sea, our two dust-collecting heroes, Cassie Oldfield and Walter Shaws, are called into an investigation in Morro Bay, California on the disappearance of a local anchovy fisherman, Robbie Donie, whose boat drifted ashore without its captain. The investigating detective, Doug Tolliver, consults with Oldfield and Shaws to determine the origin of some pebbles found in a mass of kelp attached to the anchor of the boat. With a pebble, Oldfield and Shaws can get a general idea of where the boat had anchored down and where Robbie Donie may have gone missing. What they didn’t find was Donie’s body, but instead, found something considerably more disturbing. The investigation focuses on a native Morro Bay family of three siblings, Sandy, Lanny and Jake Keasling. Sandy Keasling is the matriarch of this trio and is a reluctant guardian of her younger sibling, Lanny, who is mentally challenged. Sandy also has a contentious relationship with her other brother, Jake, who is a bit of a slacker. The Keasling siblings have a close but dysfunctional relationship which creates a barrier to the investigation being conducted by Tolliver, Shaws, and Oldfield. It turns out that the Keaslings’ are the key players in stopping a criminal act that would result in an environmental catastrophe and the loss of numerous lives. Skeleton Sea is great fun for us science geeks or for those who like the more techy aspect of forensic sleuthing. In my review on the series, I complained a little bit about the terminology being a bit too much in some of Dwiggins previous writings, but in Skeleton Sea, the amount of tech lingo is just right. On the downside, Dwiggins, who is very talented in developing her secondary characters, does not do justice for her main characters, Cassie Oldfield and Walter Shaws. Shaws, in particular, shows almost no personality and in Skeleton Sea, with an exception of a few utterings, has no significant role. I enjoyed Skeleton Sea for its storyline but I would really like to see more in what makes Cassie Oldfield and Walter Shaws tick. Despite this, Skeleton Sea makes for fun summer reading and for those of you that can’t get to the beach at least you can join Oldfield and Shaws in Morro Bay for an exciting adventure. 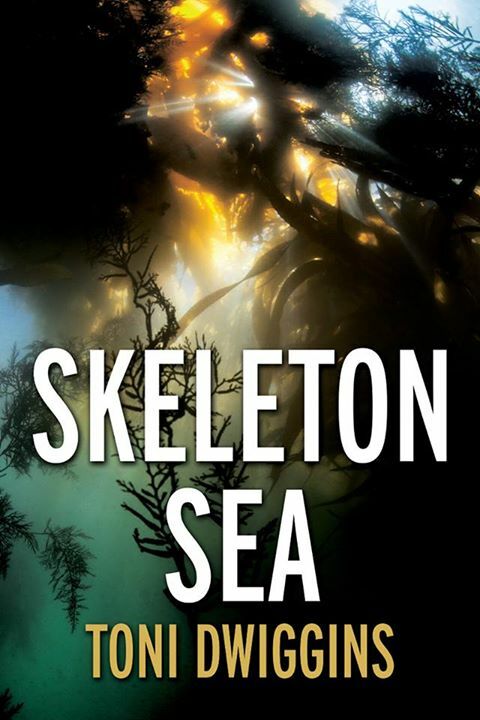 With the exception of a few references to previous novels in the series, Sea Skeleton can be read as a standalone. To learn more about the series check out Toni Dwiggins’ Forensic Geology Series. Posted in Forensic Thriller.Tagged Book Review, Book Review Blog, Book Series, books, Cassie Oldfield, Forensic Thriller, science in fiction, Thriller, Toni Dwiggins.